Garen’s diverse practice covers the spectrum of labor and employment litigation. 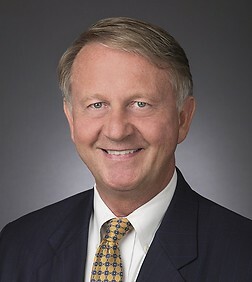 His recent victories include serving as lead counsel in a jury trial alleging defamation in Fairfax, Virginia Circuit Court, obtaining an injunction in DC federal court in a non-compete case, and prevailing in a five day arbitration involving allegations of age and national origin discrimination. Throughout his career, he has served as counsel of record in seminal U.S. Supreme Court and appellate cases as Amicus Curiae. Garen advises clients on issues involving privacy, discrimination, background checks, harassment, wage and hour, and occupational safety and health. He assists companies in establishing workplace programs, and trains supervisors and employees on effective personnel policies. He represents clients before Congress and key federal agencies on labor and employment issues, and has testified before agencies such as the U.S. Commission on Civil Rights. Garen is a frequent speaker before industry and other groups on employment topics. He is the author (or co-author) of many publications, including the book Winning the War on Drugs: the Role of Workplace Drug Testing. He is also an Adjunct Professor at The George Washington University School of Business. Garen served as an Attorney-Advisor for the U.S. Department of Labor, Office of the Secretary, Benefits Review Board from 1982-1985. Anglinmatumona v. Micron Technology, Inc., 2012 U.S. Dist. LEXIS 77289 (E.D. Va. June 4, 2012); affirmed (4th Cir. Oct. 15, 2012); cert. denied (U.S. Sup. Ct., Jan. 14, 2013). Hospitality Staffing Solutions LLC v. Reyes and Capital Staffing Solutions, 736 F. Supp. 2d 192, 2010 U.S. Dist. LEXIS 93810 (D.D.C. Sept. 9, 2010), 2012 U.S. Dist., LEXIS 93810 (February 1, 2012). Drew v. Shoe Show, Inc., 2011 U.S. Dist. LEXIS 106503 (S.D. III. Sept. 19, 2011).